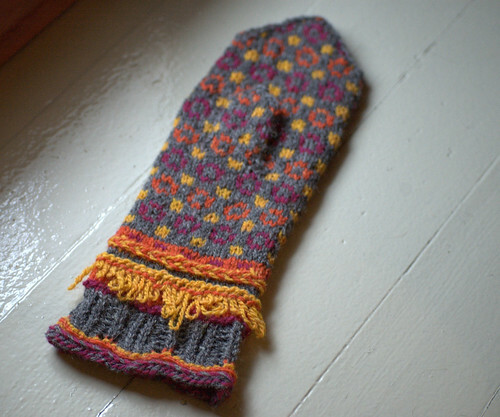 E (PokingMyEyesOut) and I went to Madrona Fiber Arts Winter Retreat last February and had a good time in the Latvian Mittens class with Beth Brown-Reinsel. The class list for 2010 Madrona has been released. I see a few classes I’d like to take — fair isle yoke design, Komi designs, and a bunch of spinning classes. I told myself last year that knitting classes probably aren’t worth it for me, but spinning would be.